Combine miso paste and water in a large saucepan over medium heat. Cook until paste dissolved. 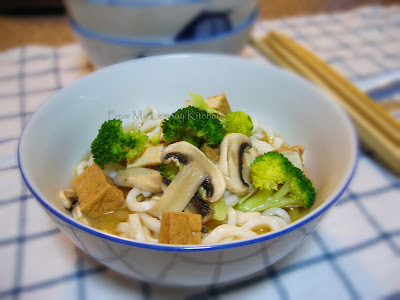 Add brocolli, and beancurd. Bring to boil. Divide Udon between bowls and ladle the miso soup over and serve.